Pay attention to the maintenance of quick-wear parts and reserve appropriate spare parts. When the machine is on maintenance adjustment or cleaning, cut off the total power switch and hang a warning sign. To keep reliable electric power. So you need contact with local power supply departments and require them to supply reliable electric power . There must be an experienced electrician who is responsible for the daily maintenance of electrical equipment specially. If the plant installed is taller than the surrounding buildings or equipment, the lightning protection facilities should be collocated. All the safety signs shall be inspected at least once every six months. If there is any damage deformation color fading etc. the signs should be repaired or replaced in time. 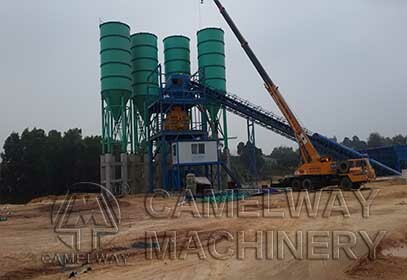 This entry was posted in Solution, Sri Lanka Batching Plant and tagged Concrete Batching Plant by camelway. Bookmark the permalink.